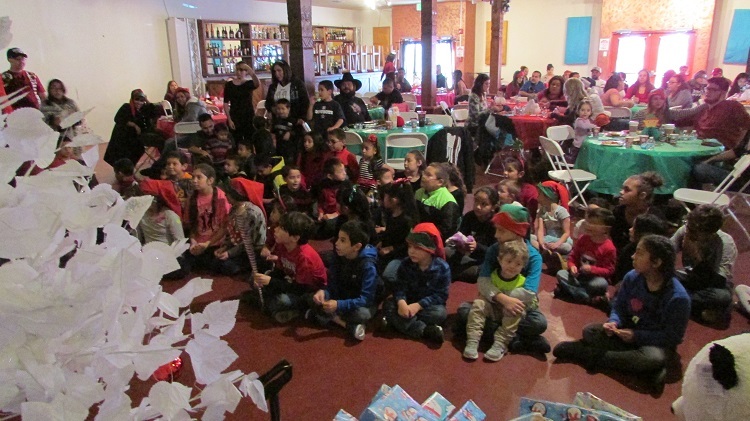 Guadalupe Credit Union gifts and fetes families in need at its annual party. The credit union’s staff sees the credit union ethos reinforced in their daily work and in programs aimed at their own financial well-being. Guadalupe Credit Union ($168.0M, Santa Fe, NM) works year-round to encourage and teach financial wellness through products, services, and programs it offers to its mostly Hispanic membership across northern New Mexico. And like credit unions across America, the 70-year-old credit union finds the holidays are a great time to celebrate the good of the past year and share what it can with members, especially those in the most need. 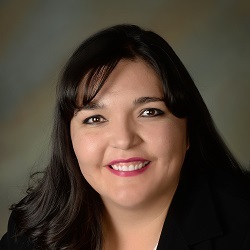 Diane Sandoval-Griego has been with Guadalupe for 12 years, the past five working in financial coaching and outreach. Here, she shares her thoughts about how the credit union helps people at this time, and every time, of year. What makes the holidays a good time for financial wellness and education messages? Diane Sandoval-Griego: The holidays tend to bring people a sense of perspective of what’s important to them. Financial goals have a lot to do with how you live out your values and where your focus should be. Managing your money effectively can provide you freedom to make those choices without worrying if you’ll have enough to do what you want to do. What products and services do Guadalupe provide for the holidays? DS: Guadalupe Credit Union offers a variety of savings products for the holidays, like our Christmas Club and Systematic Club accounts. We also offer holiday loans and credit cards. And, we are proud of Borrow and Save — our payday loan alternative — and our predatory debt relief loan, which pays off existing debt and requires a referral to a financial coach. Our Christmas Families program has been a great way to help families with dignity and respect. They’re selected based on need, and they’re invited to our staff family holiday party where they’re family guests just like everyone else in the room. What financial education and wellness work does Guadalupe offer around the holidays? DS: We partner with many local organizations to provide financial literacy classes. Our recent activities include conducting a reality fair at a local high school and providing financial literacy classes at our teen parent centers. We also encourage our staff to meet with a financial coach to work on their own financial goals year-round with a program we call “Cultivate Your Cash.” We offer prizes for participating staff for different categories such as paying down debt and increasing savings and credit scores. What about after the holidays? DS: Many people think of the new year as a new beginning. We tend to see a higher number of members wanting to consolidate debt or work on their budgets to spend less in the new year. We want members to know that it’s a process. Our coaches can work on a yearlong plan, so they can revisit their goals and celebrate success along the way. There’s no better motivation than being able to see members meet those small steps that bring great advancements in their financial lives. 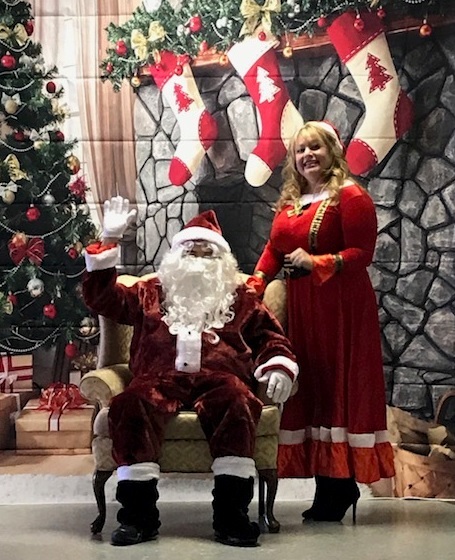 Training assistant Marcos Leon and financial coach and outreach coordinator Antonia Ortega assume the critical roles of Santa and Elf at Guadalupe’s 2017 Christmas party. Guadalupe Credit Union invites members and their families to the annual Christmas party. Here, they gather in 2016 at a Santa Fe restaurant. 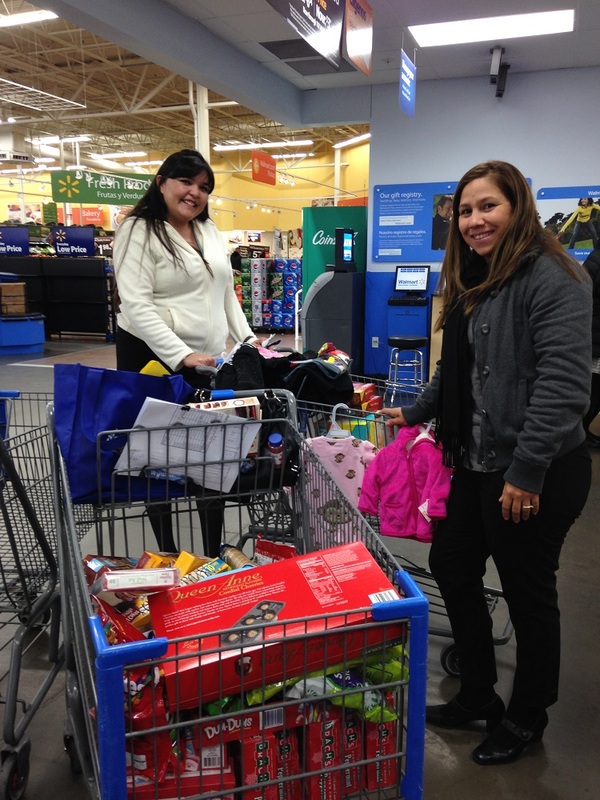 Guadalupe staffers Diane Sandoval-Griego, left, and Kidiam Rodriguez find Christmas shopping is even more fun when you’re buying gifts that will brighten the holiday for struggling families. Credit counseling anytime of the year is a good start toward a happy holiday season. 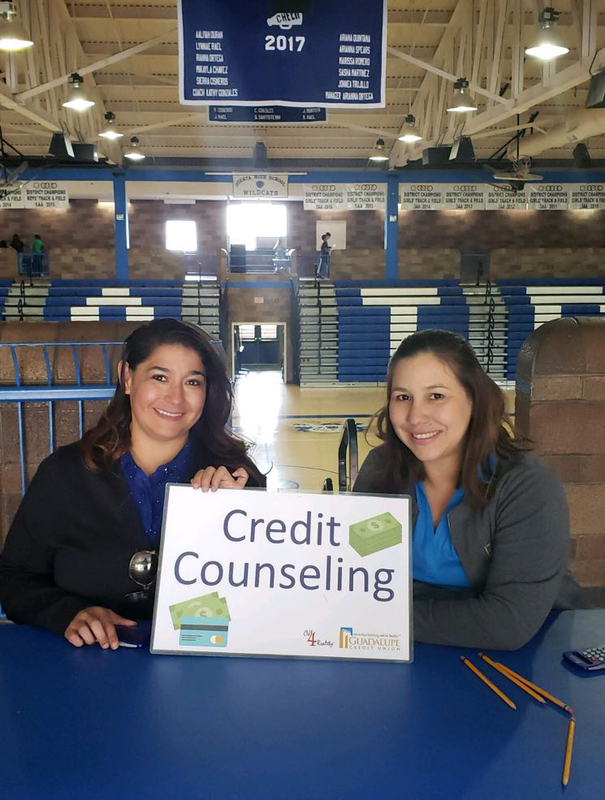 Financial coaches and outreach coordinators Angelica Duran, left, and Kidiam Rodriguez participate in the reality fair at Questa High School in Questa, NM. How do digital platforms and social media play into your financial wellness and education work? DS: They are a way for us to connect with members wherever they are. We bring awareness to different issues — like our products and services and our community outreach — and we post pictures and videos about our staff. As we share our work in the community, we see our members at these events and support what’s important to them too. We’re grateful to be in their newsfeeds, and we’re happy to find out what they think and want from us. Why is this kind of effort important at Guadalupe? DS: We’re a Community Development Financial Institution, and we focus our efforts on what our community needs the most from us as a credit union. The holidays can be burdensome for some of our members who are living paycheck to paycheck. If we can coach them during the holiday season and encourage saving throughout the year, they have the opportunity to focus more on their traditions and spending time with their loved ones. Is there a specific instance of financial wellness help the credit union gave a member that speaks to its mission and the special challenges many members face? DS: A single mom attended a financial literacy class with Guadalupe Credit Union to learn about financial basics. She then came to GCU and opened an account and opened a share secured credit card to start building credit. She wanted to build financial stability so she could help her immediate family, which was fairly large and had been separated by the border. This family had experienced extreme violence in Mexico and had already lost two family members. They were struggling to bring their loved ones to the United States. Three had been in holding at immigration detention centers. GCU’s financial coach realized they would be a perfect nomination for our Christmas Families sponsorship program, and GCU purchased a grocery gift card, clothing, and toys for the children. Our tagline is “We’re more than banking, we’re family.” We work hard to make sure we reflect that with everyone that comes through our doors regardless of income level or citizenship status. Through this mom’s hard work and persistence, she eventually was able to reunite her family. She has built strong savings, her credit has been established, and she’s now working full time. What’s one best practice for making a successful go at community work among the financially challenged? DS: Find out what the members need. You can do this with surveys or social media polls, but the best way to find out is to talk to them. We created our Christmas Families sponsorship based on discussions with our members. We realized the struggles some of them went through, especially during the holiday season. Thanks, Diane! That's good news. Good to see the industry paying it forward. Guadalupe Credit Union and its employees do a wonderful job at helping our members. Way to Go GCU. It's not the first time we've written about this progressive, committed financial cooperative and I bet it won't be the last. Thanks for your comment.